Dairy Free Betty: Yummy Dinner!!!!!! I think I may have died and gone to Heaven!! I just made the most AMAZING pasta dish. YUM!! Chicken Spolumbo Sausage - so good, no fillers!! Then I mixed in the mayo about 2 tbsp - It's hard to find "creamy" pasta sauce that has no dairy. When I received this mayo as a gift, pasta was my first thought - It was amazing, creamy just like alfredo! I honestly felt like I had died and gone to heaven!! It was sooo decedent. Glad I didn't have to share it with anyone though, now I have at least 2 more meals leftover YAY!! Besides this wonderfulness, I went for an hour and a half long walk/pull with my parents and Lance. It was quite the workout, as he hasn't been for a walk for awhile because of our insane wind/rain storms. It was great. I love the trail that we went on, and it's super close to home! After that I came home and watched some Planet Earth - what an amazing show, if you haven't seen it yet, go get it NOW!! 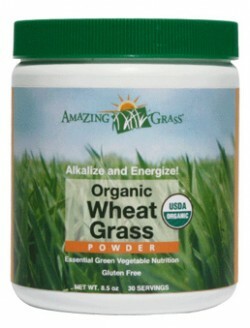 I am officially done all my Amazing Grass samples and am in love!! The chocolate was not for me at all. 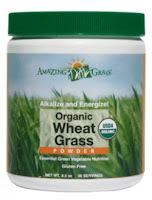 I liked all the other flavors and I thought the wheat grass was fantastic. I'm obbessed with green monsters right now and have 2 per day for the last few days. My energy is great and I feel fantastic!! We had a great night with friends on Friday night... and then went for sushi last night with some newer-ish friends that are fabulous!! We ate way to much and had a great time! 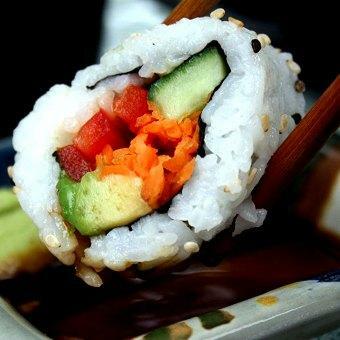 I had miso soup, green tea, a dynamite roll (super spicy tempura prawn and veggies), spicy scallop roll and an avacado roll. I took some home and ate it as a midnight snack YUM!! I didn't take this picture, but felt the need for a picture... too many words, not enough pictures! I also went through a bunch of old pictures today... haha.. I love memories... here are a few. 4 of the sexiest bridesmaids around. This is one of my all time favorite pictures. 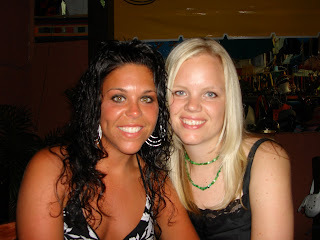 Here is the lovely bride and I a few days before the wedding. Could be look much different!? Anywhoo... I'm sure greatful for all my new readers, i'm over 600 visitors in less than a month! Oh - my - wow! That pasta looks freakin' AMAZING!! Please give it to me. Right now. Please. I love the Planet Earth series - I have been showing them to my students lately, and they love them too! It was amazing!! Come on over.. there are lots of leftovers!! :) We're only 2 provinces away, no big deal!! My friends OBVIOUSLY need to start getting married in Mexico, I've been to so my weddings lately but no where really fun to visit.